Charcoal grilling is an art since it combines the technique of cooking the food with the experience of grilling. It may not be very convenient, especially when compared to the electric grilling experience, because you cannot modulate the temperature of the burning coal. However, knowing the right technique of how to grill with charcoal can help you in getting the desired flavor with the smokiness and charred touch. A Charcoal Grill. This should be cleaned before using. If any ash remains in the grill, it may block the vent and will produce difficulty in controlling the fire. Working Vent. It is required to be free from corrosion or rusting to ensure optimal adjustment. Fire-Proof Gloves. During grilling you may touch a lot of hot things. Charcoal Starter. To light the charcoal grill. Grilling Tools. These are required in order to flip the food, generally the pieces of meat. Stick. With the help of tools like stick, you can move the burning coal for proper distribution of heat. Place. A safe place is required that should be open and ventilated. Patience. The process is long and tiring, and it may require a lot of dedication and time. Practice. Performing this practice again and again will make you perfect in charcoal grilling. Place the grill at a suitable place away from physical matter that can catch fire easily, such as cellophane, paper, clothing or other inflammables. Try to place the grill in a ventilated area. Ensure that the grill is cleaned properly. No ash should be present in the grill. Also make sure that the ash kettle is attached to the grill. 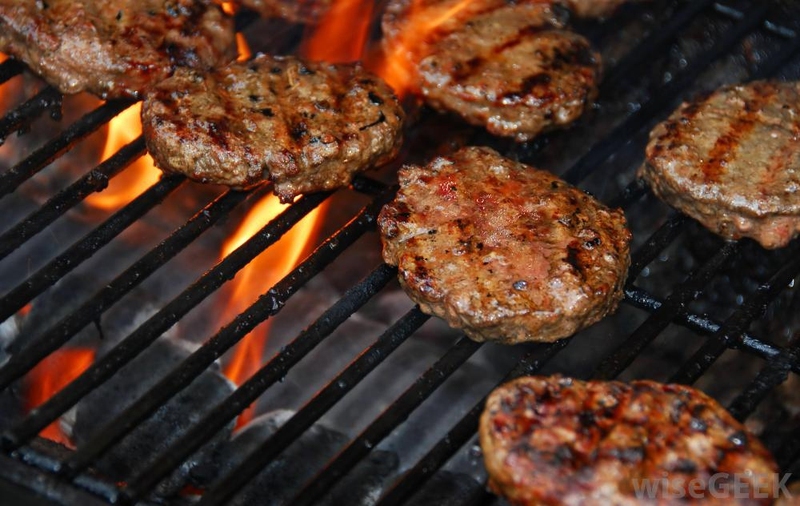 Place the briquette into a pyramid shape and usually 30 briquettes for every pound of meat. Make sure you arrange them properly so that they will extend about 2-3 inches. Add about half a cup of the lighter fluid from the top in a spreading manner so that the coal will get completely soaked in the fluid. If you are satisfied with using the lighter fluid, then you can also use newspaper to light the flame. Make sure that the vent remains open at the bottom of the grill. Light the flame with a long stick match and ignite the briquettes. Grill at a safe place, once you have completed the grilling then close the vent so that all the heated coal or briquettes will cool down. The cooling time is commonly 24 hours. Make sure that the coal or briquette is completely cooled down. Leaving a single particle of burned coal may fire the entire place around. In extreme weathers, use charcoal briquettes to maintain the strength and intensity of fire. Wait for 10 to 15 minutes before using the grill so that charcoal reaches the right temperature. Use a smaller sized grilling grid for fresh vegetables. Never ever add the lighter fluid to burning coals, even if there is no flame. The heat will vaporize the lighter fluid and can cause a serious flame up. Cleaning of the grill before each use reduces the bad smoke. Every time you go for grilling you need to replace the old coal with the new one. Conserve the charcoal; to do this you need to place the lid over the grill chamber. Decreasing the contact of the charcoal with the oxygen decreases the burning.